The litter layer is an important component of forest ecosystems, although little is known about the differences in litter characteristics and hydrological properties of unmanaged, overgrown broadleaved and coniferous mixed forests in the subtropical and temperate zones. This study was carried out in a naturally generated broadleaved and coniferous mixed forest at the Qinling National Forest Ecosystem Research Station, Shaanxi Province, China. We quantified the litter thickness, mass, and its hydrological properties in evergreen pine (Pinus tabulaeformis) stands and deciduous oak (Quercus aliena var. acuteserrata) stands through in situ surveys and laboratory immersion experiments. The thickness of the litter layer for P. tabulaeformis averaged 9.3 ± 2.8 cm, and it was not significantly different from that detected in the Q. aliena stand (8.3 ± 3.6 cm). The total mass of the litter layer for P. tabulaeformis, 27.94 ± 9.81 Mg ha-1, was significantly higher than the total mass of 16.04 ± 3.60 Mg ha-1 found for Q. aliena. The mass of the semi-decomposed, fermented litter (OF) layer was significantly higher than that of the non-decomposed litter (OL) layer, irrespective of species. The rate of water absorption by dry litter was the highest at the onset of the immersion experiment and decreased exponentially with time. The water-holding capacity (Wm) and water-interception capacity (Wi) of the OF layer were higher than the OL layer for both forest stands. The Wm and Wi for the P. tabulaeformis stand were higher than those for the Q. aliena stand at our study sites. The higher Wm and Wi for P. tabulaeformis may be more effective in ameliorating the splash impact from high-intensity storms to improve water quality, while relatively lower Wm and Wi for Q. aliena may be considered favorable for augmenting water yield. Forest resource managers should consider those differences along with the other components of the water budget when making management decisions. Monitoring litter interception of rainfall using leaf wetness sensor under controlled and field conditions. Hydrological Processes 31 (1): 240-249. Field data collection and analysis of canopy and litter interception in commercial forest plantations in the KwaZulu-Natal Midlands, South Africa. Hydrology and Earth System Sciences 16 (10): 3717-3728. Water-holding characteristics of coniferous forest litters in west Qinling Mountains. Chinese Journal of Applied Ecology 19 (11): 2346-2351. Distribution of water consumption of Pinus tabulaeformis plantation in rocky mountain areas in northern China. Journal of Beijing Forestry University 30 (Suppl. 2): 182-187. Application of Gash analytical model and parameterized Fan model to estimate canopy interception of a Chinese red pine forest. Journal of Forest Research 18 (4): 335-344. Measuring interception loss and canopy storage in dryland vegetation: a brief review and evaluation of available research strategies. Hydrological Processes 14 (4): 669-678. Catchment management under environmental change: Impact of land cover change on water resources. Water International 28: 334-340. A study on water-holding properties of litter layer for various major forest vegetation types in eastern mountainous region in Liaoning Province. Journal of Shenyang Agricultural University 04 33 (2): 115-118. Effect of the litter layer on runoff and evapotranspiration using the paired watershed method. Journal of Forest Research 21 (6): 306-313. A comparative analysis of the hydrological effects of the four cypress stand types in Sichuan Basin. Acta Ecologica Sinica 31 (10): 2716-2726. Water holding characteristics of litter layer after natural evergreen broadleaved forest artificial regeneration in southern Sichuan province. Journal of Soil and Water Conservation 20 (3): 51-55. Contents and ratios of the decomposable and resistant plant material in the litters of the main trees in Qinling Mountains. Journal of Northwest Forestry University 27 (5): 6-10. Decomposition rate of four dominant tree species leaf litters in Qinling Huoditang forests. Chinese Journal of Ecology 30 (3): 521-526. Influence of stand density on water-holding characteristics of litter layer. Journal of Northwest A&F University (Natural Science Edition) 40 (4): 68-72. The effect of stand species composition on water storage capacity of the organic layers of forest soils. European Journal of Forest Research 134: 187-197. Incongruity between scientific knowledge and ordinary perceptions of nature: an ontological perspective for forest hydrology in Japan. Journal of Forest Research 4 (22): 75-82. Is forest blessing an illusion? Forest-human relation from the view point of a scientist. Kagaku Dojin, Tokyo, Japan. Study on water holding function of Pinus armandii forest in the Huoditang area of Qinling Mountains. Journal of Northwest Forestry University 1 (1): 19-34. Evaporation of intercepted precipitation from fruit litter of Liquidambar styraciflua L. (sweetgum) in a clearing as a function of meteorological conditions. International Journal of Biometeorology 49 (5): 325-331. Study on hydrological functions of litter layers in north China. PLoS ONE 8(7): e70328. Water holding capacity of litter layer for various major forest types in Lianhua Lake reservoir area. Science of Soil and Water Conservation 3 (2): 81-86. Litter mass of five Karst forests and their hydrological effects in Guizhou. Scientia Silvae Sinicae 47 (3): 82-88. Dramatic decrease in streamflow from the headwater source in the central route of China’s water diversion project: Climatic variation or human influence? Journal of Geophysical Research 117: D06113. Rainfall interception by a Pinus sylvestris forest patch overgrown in a Mediterranean mountainous abandoned area. I. Monitoring design and results down to the event scale. Journal of Hydrology 199 (3-4): 331-345. Season-specific changes in telomere length and telomerase activity in Chinese pine (Pinus tabulaeformis Carr.). Russian Journal of Plant Physiology 62 (4): 487-493. An integrative classification of vegetation in China based on NOAA AVHRR and vegetation-climate indices of the Holdridge life zone. International Journal of Remote Sensing 24 (5): 1009-1027. Hydrological function of litters of the main tree species in Beijing mountainous area. Research of Soil and Water Conservation 18 (3): 73-77. Experimental analysis of moisture dynamics of litter layers-the effect of rainfall conditions and leaf shapes. Hydrological Processes 18 (16): 3007-3018. Forest floor water content dynamics in a Douglas fir stand. Journal of Hydrology 201(1-4): 367-383. Hydrological functions of litter layer of typical forest types in the Liupan Mountains of Ningxia, northwestern China. Journal of Beijing Forestry University 31 (1): 91-99. 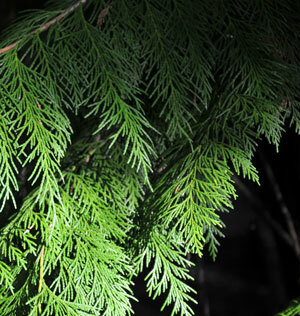 The effect of strip thinning on tree transpiration in a Japanese cypress (Chamaecyparis obtusa Endl.) plantation. Agricultural and Forest Meteorology 15 (197): 123-135. Research on litter hydrology characteristic of typical vegetation in Jinyun Mountain in Chongqing city. Journal of Soil and Water Conservation 18 (3): 41-44. Effect of vegetation on soil water retention and storage in a semi-arid alpine forest catchment. Journal of Arid Land 5 (2): 207-219. Construction of Qinling ecological demonstration area. Journal of Anhui Agricultural Science 39 (23): 14278-14280, 14284. Effects of environmental factors on tree seedling regeneration in a pine-oak mixed forest in the Qinling Mountains, China. Journal of Mountain Science 10 (5): 845-853. Shaaxi forest. Shaanxi Science and Technology press, Xi’an, China, pp.189-197. Water-holding characteristics of the litter under main tree species plantations in Beijing Xishan Mountainous areas. Scientia Silvae Sinicae 46 (10): 6-14. Effect of a native forest canopy on rainfall chemistry in China’s Qinling Mountains. Environmental Earth Sciences 67 (5): 1503-1513. Soil water dynamics under low- versus high-ponderosa pine tree density: ecohydrological functioning and restoration implications. Ecohydrology 1 (4): 309-315.